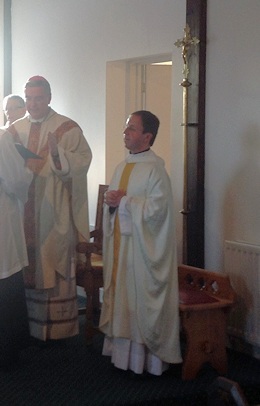 Fr Louis Rieunier was officially inducted as Parish Priest to Holy Cross on Wednesday 23rd July during an evening Mass presided over by Bishop Mark O’Toole on his first official visit to Holy Cross. 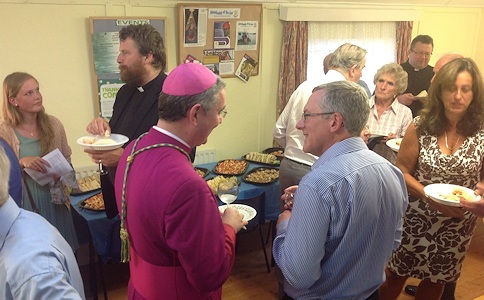 Parishioners were joined by Plymouth Deanery clergy, invited guests and friends for this special event for the Parish. 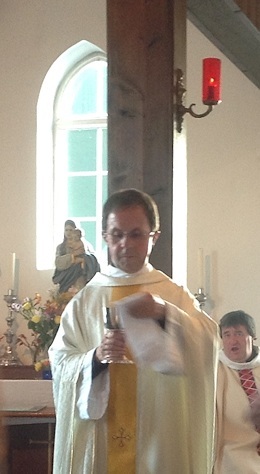 During the Rite of Induction the role of the Parish Priest was spelt out in a formal series of questions put to Fr Louis by the Bishop and to which Fr Louis responded that he ‘was willing with the help of God’ to fulfil these obligations. 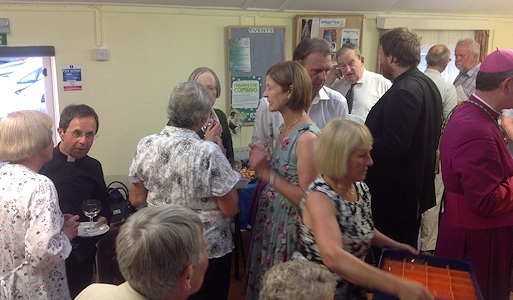 The parishioners were also formally asked to assent to a number of obligations aimed at promoting the good of the Parish. 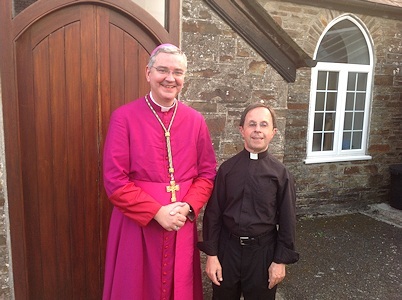 Finally Fr Louis was publically given a letter of appointment from the Bishop which was read out by the Dean, Fr John Webb. 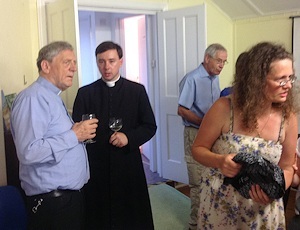 Following the service refreshments were served in the hall where people had the chance to congratulate Fr Louis personally and to meet the Bishop. 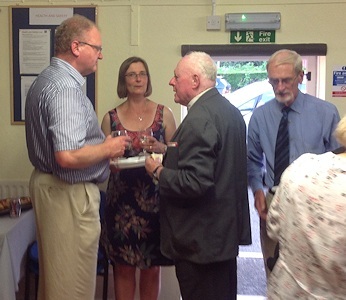 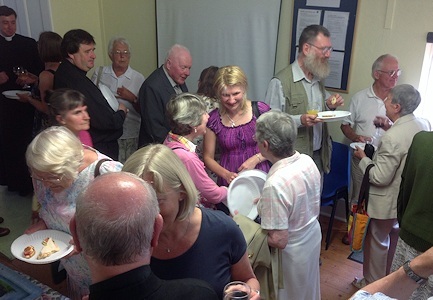 All in all it was a lovely evening and it was well attended by parishioners and friends alike. 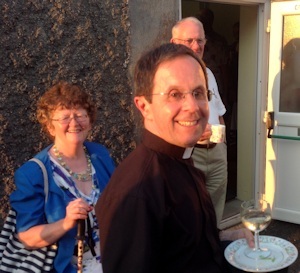 Fr Louis thanked all those who had helped to make it such a pleasant and memorable evening.